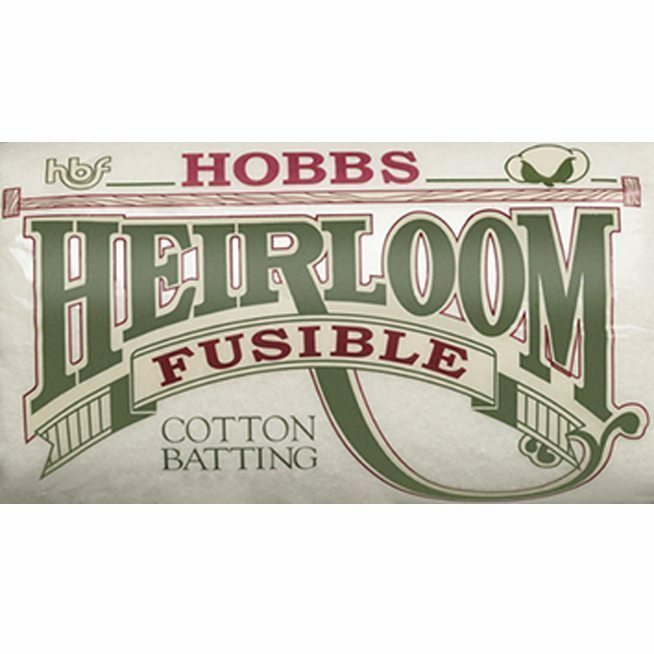 Monfil presents: Heirloom Premium 80/20 Fusible Cotton Blend Batting: double sided iron-on batting. This batting eliminates the need for the time consuming steps of pinning or basting. 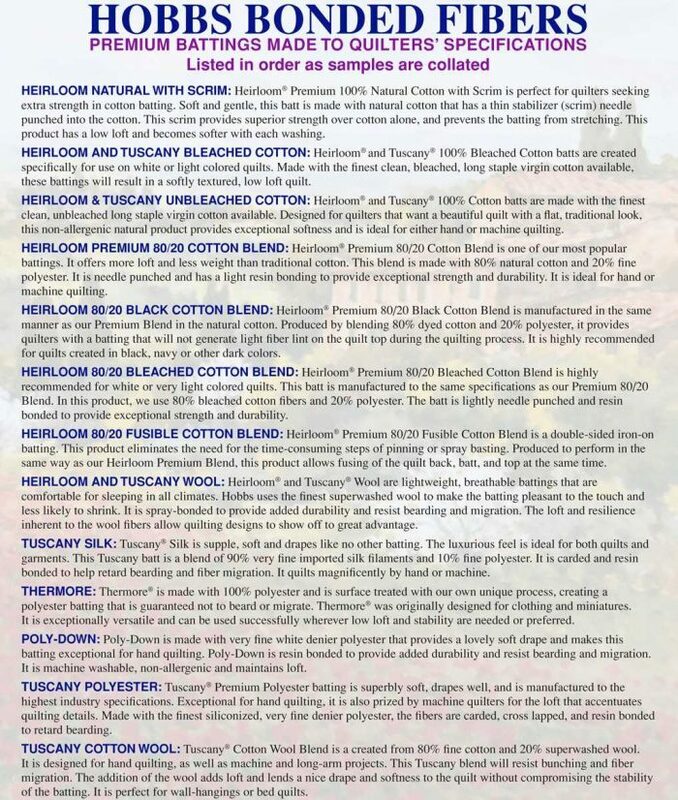 Only Hobbs can make this unique product: Fusible Cotton Blend is manufactured in the same manner as our Premium 80/20 in the natural cotton. 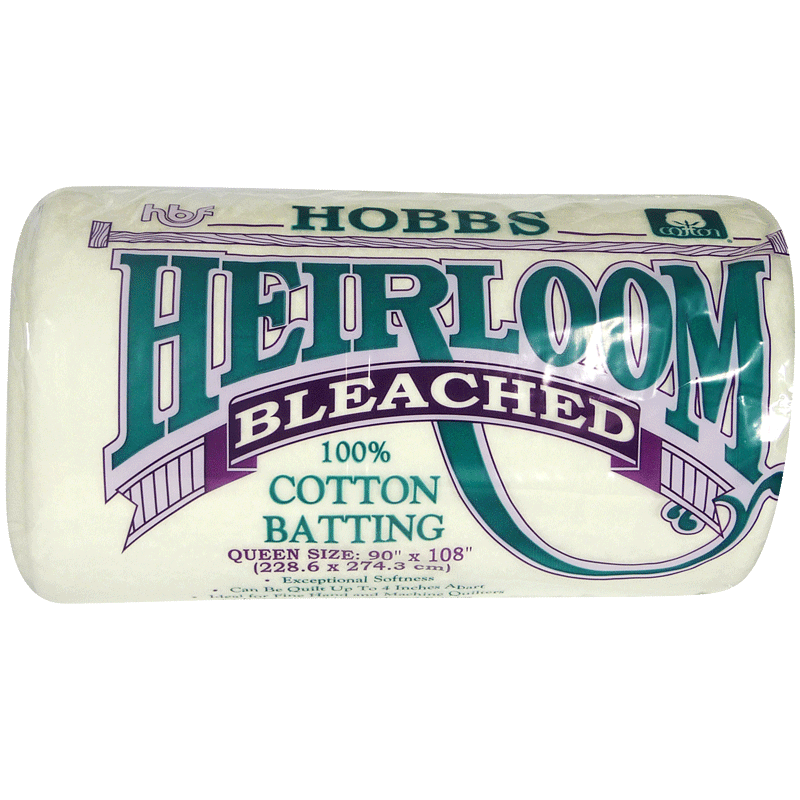 This batting is made with 80% natural cotton and 20% polyester. It is lightly needle punched and resin bonded to provide exceptional strength and durability. 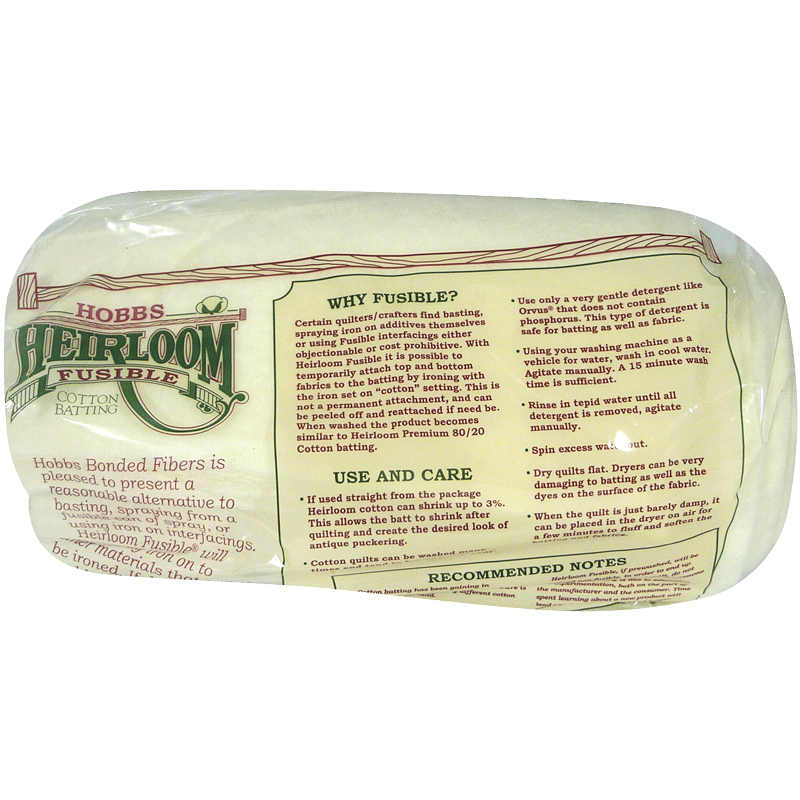 Furthermore, this product has an additional fusible resin applied to both front and back. 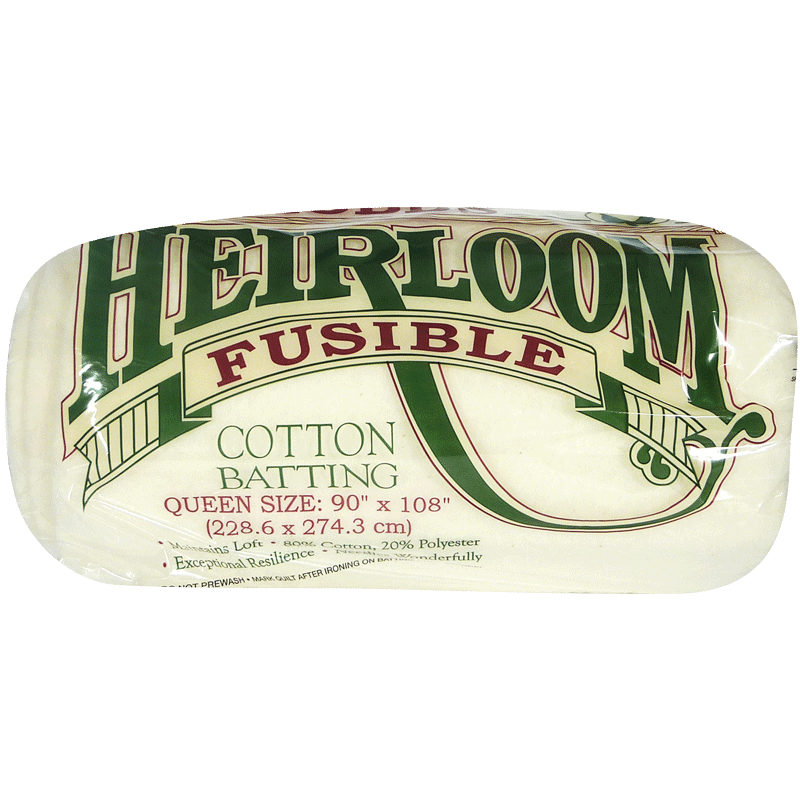 Heirloom Fusible, if prewashed, will be rendered non-fusible. 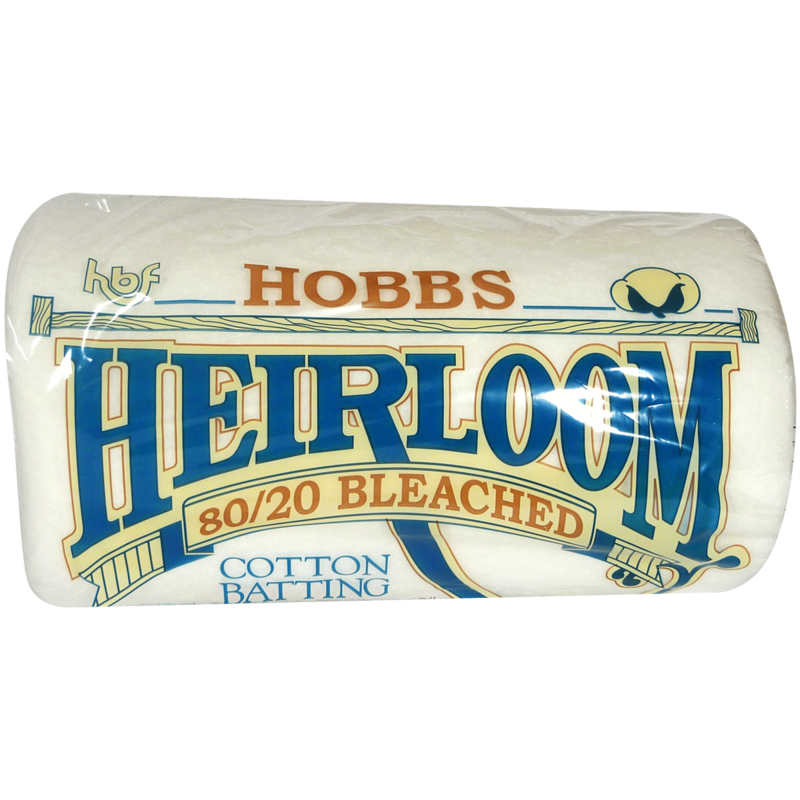 When washed, the product becomes similar to Heirloom Premium 80/20 Cotton batting. 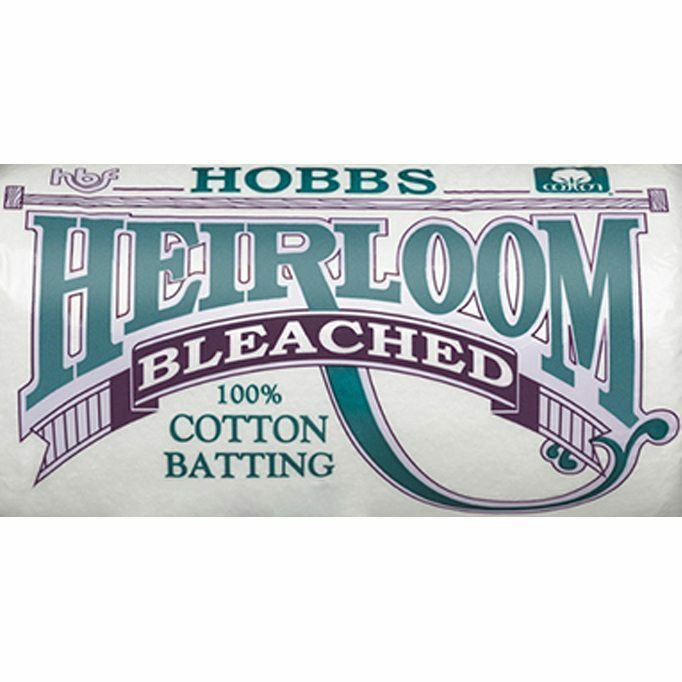 Monfil presents: Heirloom Premium 80/20 Fusible Cotton Blend: double sided iron-on batting. 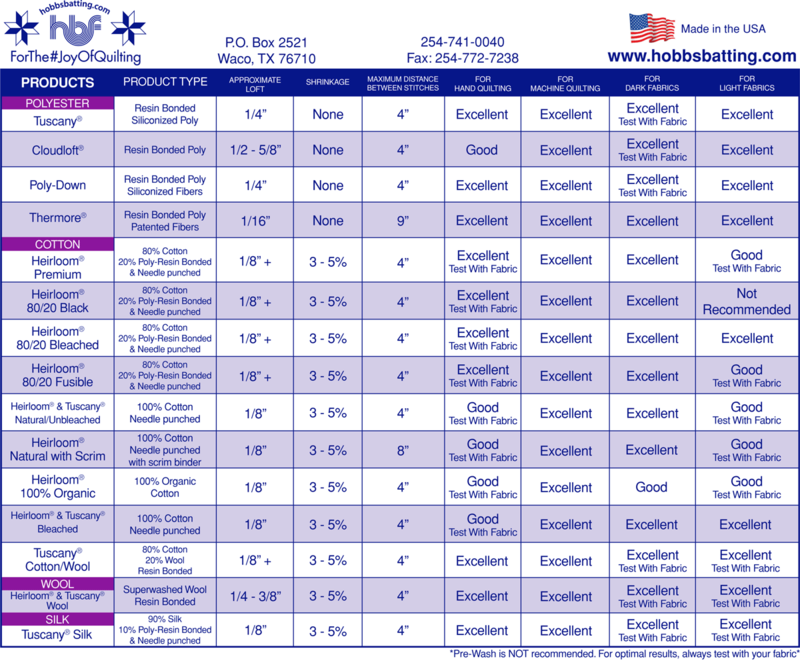 This product eliminates the need for the time consuming steps of pinning or basting. Option: If desired, the quilt top and back can be ironed on separately or at the same time. Simply press your quilt from the center to the outer edges. Then, move your iron lightly from place to place pressing approximately 3-4 seconds in each area. Once you have covered the entire surface area of your quilt, allow the quilt to cool. You may then begin quilting by hand or machine, if you prefer. Application: fusible 80/20 should be used with medium or dark fabrics. 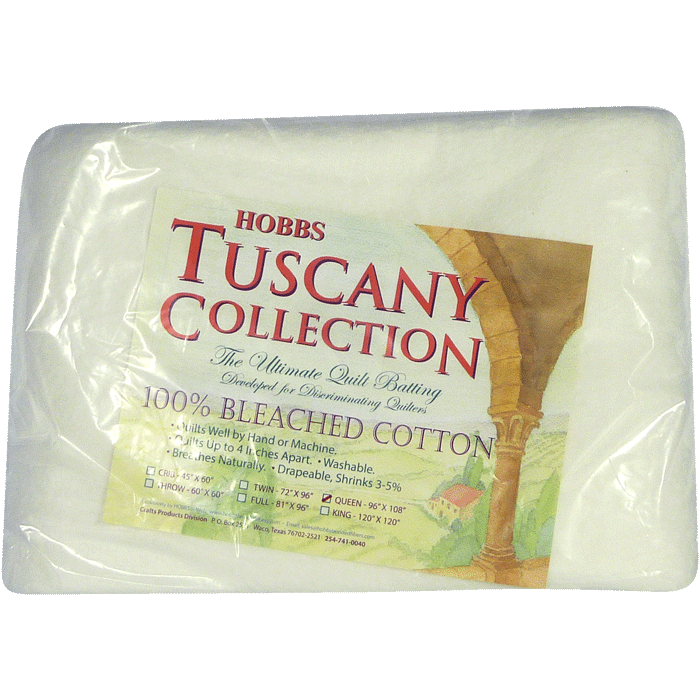 If this product is used with light colored fabrics, unbleached cotton can slightly darken white and pastel colors. You will love the results, it is wonderful to quilt by hand or machine. Close quilting yields a flat low loft appearance while more space between stitching lines yields a slightly higher loft. Note that you may experience shrinkage of 3-5% and it may be quilted up to 4” apart. Monfil recommends that the quilt maker spend some time learning about this product before using it on a major project. 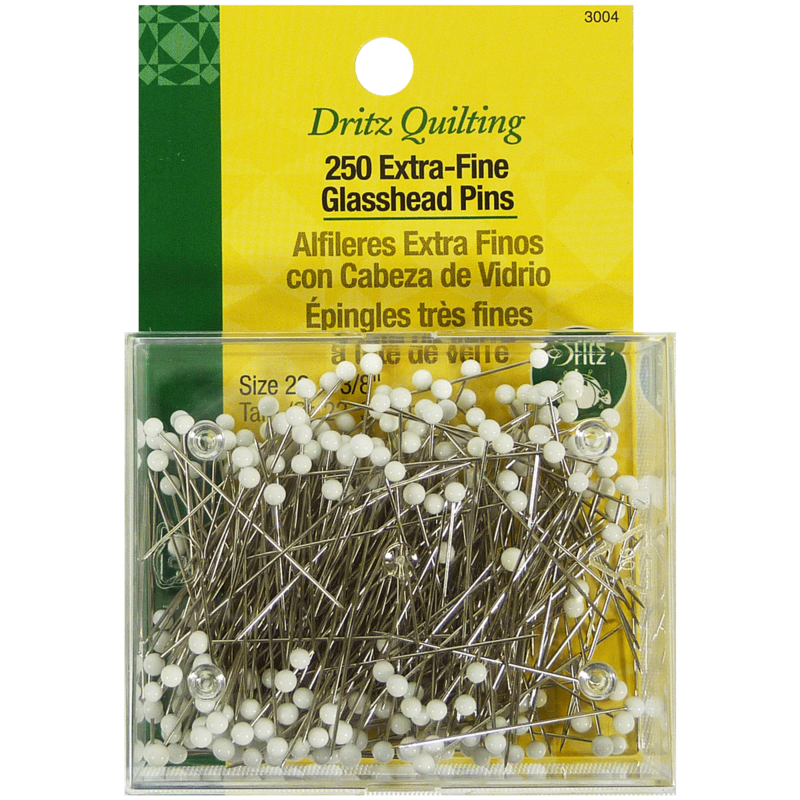 Please, make samples using this batting to see how it launders and how it needles, both by hand and by machine, so that you can obtain the look you want in your final project.